Poll: Who should be Fine Gael leader after Enda Kenny? It appears Enda Kenny is safe for now but it is likely he will have to step down later this year. IT LOOKS LIKE Enda Kenny has survived a leadership heave, but there is still trouble in the Fine Gael ranks. The party is expected to discuss Kenny’s leadership at its weekly meeting and while he is safe for now, it is likely he will have to step down later this year, ahead of a fresh election. We want to know who you think should take over: Who should be the next Fine Gael leader? 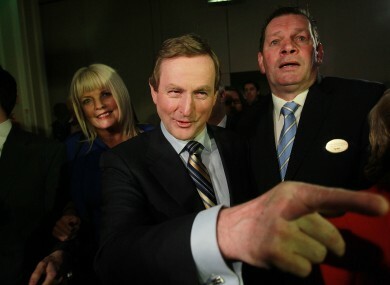 Email “Poll: Who should be Fine Gael leader after Enda Kenny?”. Feedback on “Poll: Who should be Fine Gael leader after Enda Kenny?”.